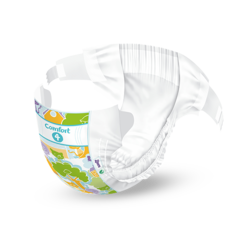 Suitable for babies weighing 7-11 kg. 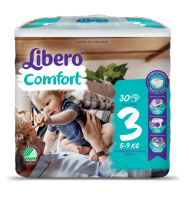 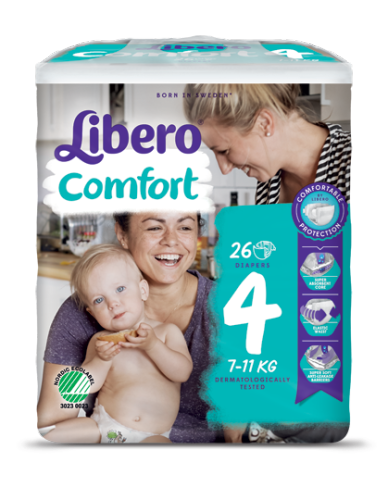 This nappy is thin and soft with stretchy sides and leg elastics that comfortably flexes with the baby’s body and provides protection against leakage. 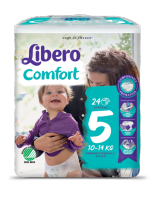 It is free from lotion and is made from breathable materials so the baby’s skin is kept comfortably dry.